Certificate of Merit exams consist of two portions - written (testing students' knowledge of music theory, music terminology, and music history), and performance (repertoire, technique, sight reading). Sponsored by the Music Teachers Association of California, Certificate of Merit exams have an enrollment of over 29,000 music students from the state of California each year. What age should I start enrolling in Certificate of Merit? Seven-years-old is on the young side, but an extremely bright, motivated and musical youngster with around one year's worth of piano experience by the time of the exam could enroll and do well. There is no penalty for starting to enroll in Certificate of Merit later than that age. Students who wish to earn the High School Senior Medallion should make sure to enroll in Path A exams by ninth grade, and make sure that they are on track towards achieving at least a Level 7 proficiency by 12th grade (see "Senior Medallion" paragraph). Why is Certificate of Merit so popular? Each year, over 29,000 music students in the state of California enroll in Certificate of Merit annual exams. Many piano students choose the Certificate of Merit program in order to track their music lesson progress. Even our adult students decide to enroll in Certificate of Merit to give themselves an additional external goal to keep up with piano practice! Certificate of Merit is open to adults too! Motivated adult piano students sometimes choose to enroll in Certificate of Merit in order to give themselves a fun, challenging annual goal to work towards in their weekly piano lessons. Senior Medallion High school seniors are awarded the Senior Medallion from the Music Teachers Association of California state office and are eligible for the MTAC Branch Honors Recital if they pass Certificate of Merit Path A exams each year from 9th to 12th grade if they reach Level 7 or higher by their senior year. Honor Students at the State Convention Out of the more than 29,000 enrolled in Certificate of Merit annually, several hundred honors music students are chosen to perform at the Music Teachers' Association of California Annual State Convention each summer. Each year, six to ten of those piano students have come from South Bay School of Music. National Piano Guild Students who are not ready for the theory and sight reading exams of Certificate of Merit may choose to enroll in National Piano Guild Auditions instead. National Piano Guild auditions are open to piano students of all levels. With 22 levels of advancement, there is a Piano Guild evaluation level that's right for just about anyone - from pre-reading very young beginner and hobbyist to post-collegiate pianist. Many of our piano students begin performing in National Piano Guild auditions at the earliest ages of five and six. 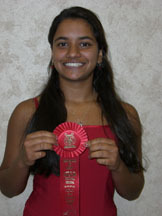 Most of our Piano Guild students perform ten memorized pieces each year at the audition. Alternatives to Certificate of Merit Certificate of Merit is sometimes not the best choice for intermediate piano students if they have lost their motivation to learn classical piano. Piano practice time and energy are better spent in these cases on jazz rock and blues piano preparation for our Student Rock Recital. The choice of which program or combination of programs are best depends on the goals and needs of each individual student. The best thing to do is talk frequently with your music teacher about what you want to achieve with your music lessons, and make sure to enlist the support of your family for your musical endeavors.